"Whenever I hear people question Reverend Sharpton’s new show, ‘Politics Nation’ on MSNBC, I find myself thinking of the theory known as ‘crabs in the barrel.’ In the ensuing debate surrounding newsrooms and diversity, many forget that there is a massive difference between a journalist and an activist. A journalist reports the news, while an activist advocates for his or her cause. In the case of Rev. 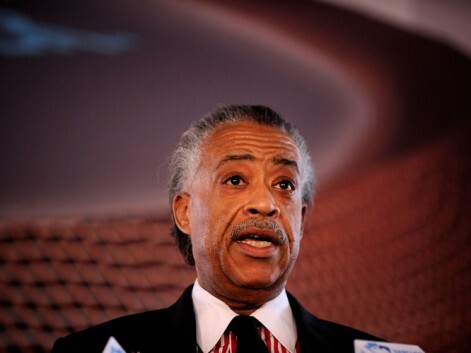 Sharpton, that cause is thankfully one of social and political equality for all. After knowing him for over 20 years, I would bet my last dollar that he will continue championing justice in his new position with no apologies. Perhaps it’s time the rest of us learn the difference between these two varying roles and stop criticizing the messenger rather than recognizing the problem. To all the Black journalists out there: don’t take your frustration out on someone who is just doing what is so desperately needed. Let’s find ways to discuss a bias that prohibits equal opportunity. Throughout my years with the National Action Network, there have been a host of issues that we worked to push to the forefront – but it was by no means an easy task. One issue facing Black journalists is how many are unable to get their news organizations to dig deep into a problem and aide in our struggle. Even when we ardently fought against the use of the words ‘n_ggas’ ‘b_tches’ and ‘h_s’ in music, it turned into an almost impossible feat to get the media – including Black journalists – to cover the story, minus a few exceptions of course. Instead of challenging major conglomerates for being the source of denigration and systematic bias, these reporters would often times fall short of explaining why certain inequities exist. Obvious concerns like rampant violence in the community have been difficult to not only bring awareness to, but also keep in the news cycle no matter what the racial component of a newsperson. When things like gun violence and vulgar language directly impact people of color the most, how can so many Black journalists fail to investigate the root causes – i.e. racism, poverty, sexism and a downright disregard for Black life? Rev. Sharpton is and has always been an advocate and defender of the people, and I believe “we” should support his new endeavor for it affords him the opportunity to continue to build on his years of struggle. An activist such as Rev. Sharpton doesn’t need to be fed information on the injustices in society, because he lives and breathes them every single day. It’s in the blood of an activist; it’s what they do on a grassroots level. And now Rev. Sharpton is able to transform that same passion and vigor from the last 20+ years onto a new platform with an even larger audience. Though the mechanism may be new, the message is precisely the same – how and why we must level the playing field across all racial, ethnic and economic lines. Journalists of color are absolutely correct in their criticism of network news and its lack of diversity both behind-the-scenes and in the anchor seat. But their anger is pointed in the wrong direction. While we applaud MSNBC for bringing folks like Melissa Harris-Perry and Michael Eric Dyson onto their programming, TV news on a whole is still largely lacking in terms of minority commentators and journalists alike. But before we unleash on the problem, let’s first be sure that we understand what’s really going on – a historically closed institution that still needs tremendous improvement in terms of inclusion and diversification. So I am more than proud to congratulate Rev. Sharpton, and I can honestly say that most people whom he has worked tirelessly to defend and support are behind him 100% and can’t wait to watch as he gets us all on the good foot."